Did you know that ancient Chinese warriors would juggle in front of their enemies to impress and scare them before battle? Juggling is a hobby anyone can learn and with practice, you too could juggle balls like a warrior in no time! Juggling is good fun and increases your brain power so that you can be both super cool and clever in front of your friends once you master it. Most juggling experts say that once you can juggle balls you can juggle just about anything so you should aim to work up to juggling balls but start with something easier like scarves. Learning to juggle is something you can start straight away. There are hundreds of how to’ videos on the internet to help but ultimately the only way to learn is to practice, practice, practice. Once you move up to juggling balls instead of scarves you will probably spend quite a lot of time chasing balls around the room until you can juggle with them more confidently. You will have to put a lot of hours into practice but the good news is that you can juggle just about anywhere at any time and if you don’t have balls use something similar like tangerines which have a soft outer skin so they won’t bounce and smash into things so easily. You can learn how to make juggling balls from balloons. You can also learn to juggle balls with friends. Starting to learn to juggle with a friend can be so much fun and once you are both confident in juggling with three balls each yourself you can start to juggle with each other, passing the balls between each other as you juggle. How impressed will your friends be when you turn up together at a talent show or someone’s party and just start to juggle between each other? It will certainly get people’s attention. Juggling balls could also be the start of a fantastic career. With many years of practice those who started with juggling balls have gone on to juggle as entertainers on stage in front of hundreds of people and the really good jugglers who have put in years of practice have gone on to juggle on television shows watched by millions of people. When you are a master juggler you can move on to juggle more difficult objects or juggle under more difficult circumstances like balancing on one leg or on an uneven surface. The most famous jugglers in the world juggle everything from balls, batons and random funny shaped objects to fire and even swords and knives! It is important to remember that these jugglers have had years of experience and have specialist people to help with health and safety so no matter how good you think your juggling is DO NOT TRY JUGGLING THESE ITEMS yourself. You will need to go to a juggling or circus skills expert for lessons when you think you are ready to move up to these more difficult and dangerous forms of juggling. So why not give juggling balls a try? It’s easy to get started, not expensive at all and you can practice on your own or with friends absolutely anywhere. Remember, practice makes perfect but with a little bit of persistence you too could be impressing others just like an ancient Chinese warrior! Happy Juggling! Joggling combines juggling and jogging. Lanzi could run on high stilts (twice as long as his feet) and juggle at the same time. 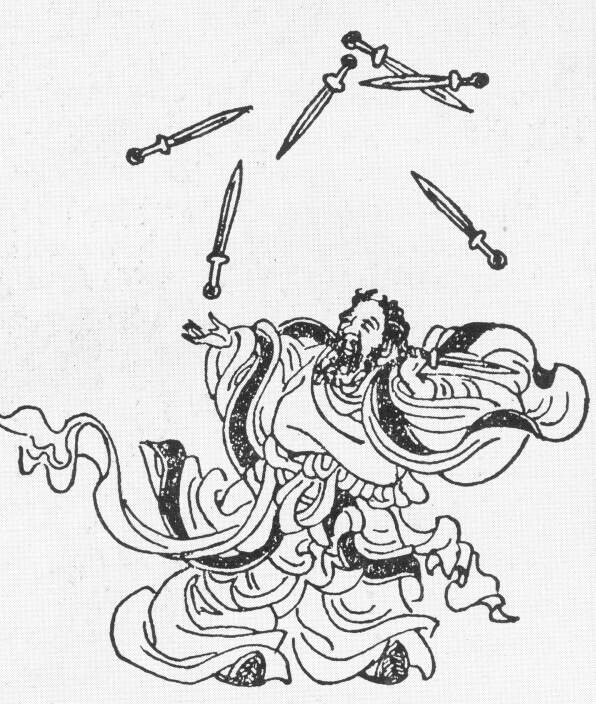 Xiong Yiliao (in Chinese 熊宜僚) juggled 9 balls and made 500 Song warriors flee in a battle around 603 BC. It was a glorious victory for the Chun army.